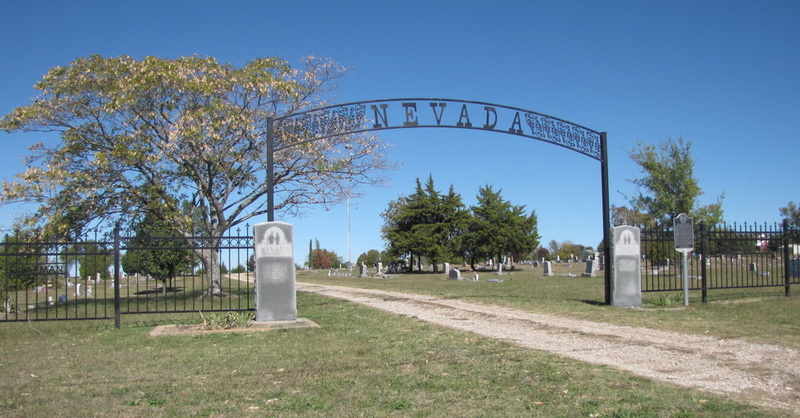 The town of Nevada was started by Granville Stinebaugh, who came to Collin County in 1861. He gave the town the name "Nevada" after the state he admired so much when he went to California for the Gold Rush. Another story says the community was named after where he was born, Nevada, Missouri, which is pronounced the same way, with a long "a.". Other communities in the area preceded Nevada. In 1886 there were 14 schools within a 5-mile radius of Nevada: Little Creek near Lavon, Brushie, South Church, Pisgah near Old Copeville, Lavon, Josephine, Cowskin, Copeville, Karo in Old Copeville, Cliff (or Monkey Run), Empire near Bear Creek, Prairie Grove, Bois D'Ark, and McMinn Chapel. The Presbyterian Church at McMinn Chapel became Nevada Presbyterian Church. The Methodist Church at Bear Creek became Nevada Methodist Church. At one time Nevada had 2 banks, a newspaper, a school, several churches, a gin, a grist mill, and a livery stable. A tornado hit the town square on May 9, 1927. It killed 27 people and destroyed many buildings. The town never recovered. This cemetery is an IOOF cemetery, which is the International Independent Order of Odd Fellows. 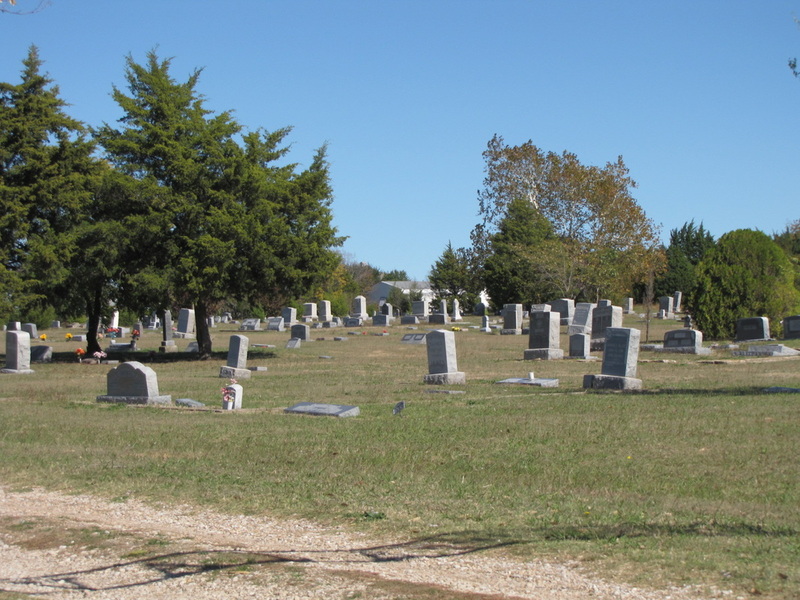 Other IOOF cemeteries in the county are in Princeton, Farmersville, Allen, and Blue Ridge. According to the inscription at the entrance gate, the IOOF bought the land for the cemetery on August 2, 1906, out of the James Osgood survey. The deed for 17.044 acres is listed in Vol 138, p 473. When the cemetery was formed, bodies were moved here from several family cemeteries and from cemeteries that did not have maintenance. This cemetery is unfenced and is very well maintained. began to maintain the property.